DETROIT — Intermedia artist, musician, and radical jeweler Tiff Massey has never been one to shy away from offering her opinion, especially when it comes to the politics of Detroit — who it belongs to, and who belongs to it. So it’s no surprise that that her solo exhibition at Library Street Collective is titled Say It Loud; anyone who knows Massey, knows that she isn’t the type to tackle race or her pride in her identity quietly. But Massey’s hyper-territorialism regarding who can claim Detroit as their home comes into philosophical conflict with some of the culture blending she utilizes in a new body of fiber-based work involving both gingham and kente cloth. 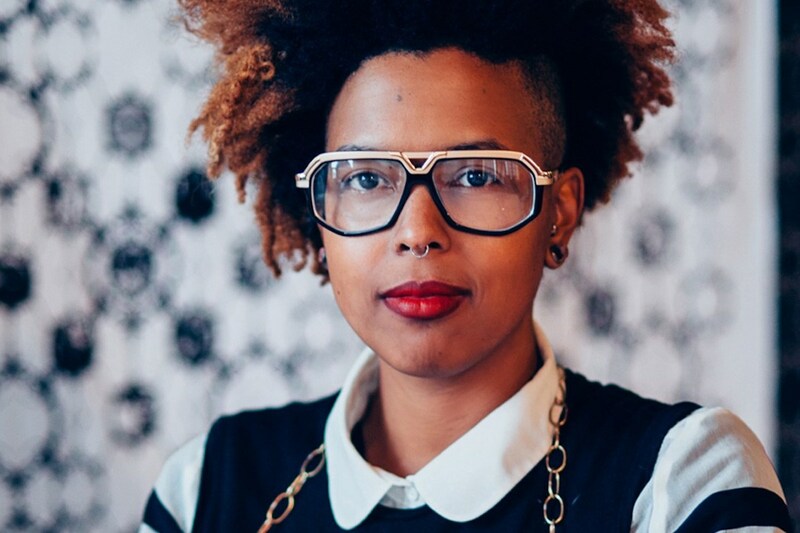 “Yesterday, it was brought to my attention that Detroit galleries are claiming artists to be from Detroit that are clearly not,” said Massey in a November 14 Facebook post that drew both agreement and dissent from her bevy of followers.